A clock is a fantastic way to adorn your wall. Not only practical, it also adds to the overall look of your home, and with so many styles to choose from, you’re sure to find one you love. With more than 25 styles to choose from, use our wall clocks to liven up a bare wall, add interest to a chimney breast, or simply keep track of your busy life. Our range of wall clocks was created to suit multiple needs and style preferences. Time is precious after all, so you shouldn’t have to waste it to find the most suitable addition to your wall. 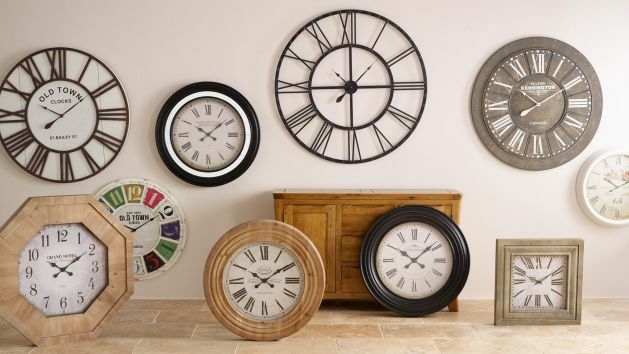 Browse our wide range of clocks below, and don’t forget, that if you spend £1,500 or more with us, you can add any of our wall clocks to your order for free! Find your perfect home style.